After your feedback, here is the new version of Zip to Email, your best option for zipping and encrypting your attachments . What is Zip To Email? As the name suggests, Zip To Email would like to be the best application to handle your email attachments. 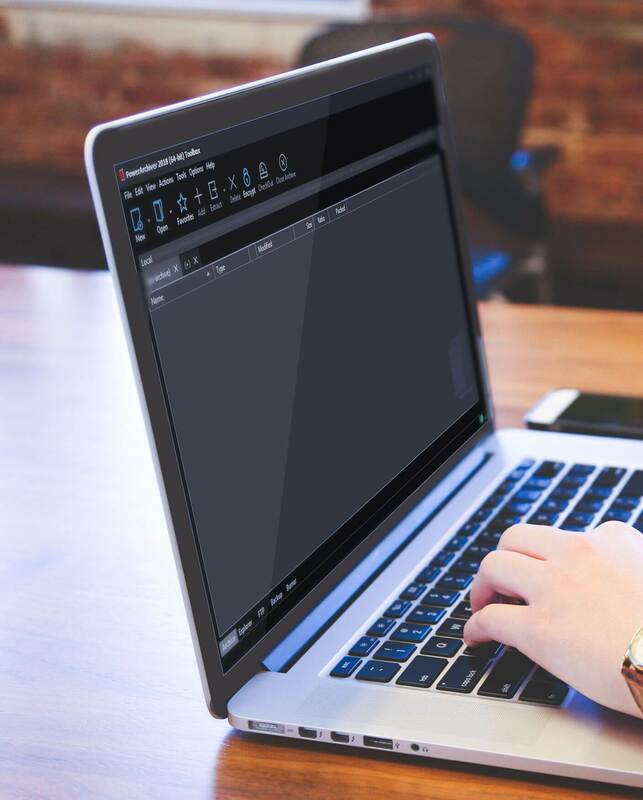 It is extremely powerful and probably by far the most powerful application of its kind, but at the same time, it can be configured to be completely automated and out of users way. So administrators can adjust it to their needs with the use of GPO’s and end users pretty much dont even know that it is there. 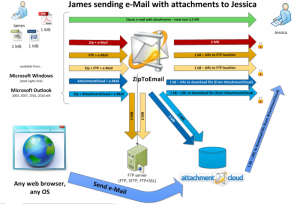 Please check out chart on the right side to see possible usage scenarios for Zip To Email. Better compatibility with PA– Better compatibility between ZTE and PA installations. SSL certificates can not be selected – Fixed problem with SSL certificates and their selections. Help page being sent twice – Fixed problem with help page being sent twice under certain scenarios. ZIP, ZIPX, TAR, 7zip, CAB – support for all the popular formats via our own superb compression engine. Make your attachments smaller by up to 90%. FIPS 140-2 Encryption – ZIP AES encryption is FIPS 140-2 certified, as well as FTP transfer SSL libraries, thus making ZTE suitable for any Government, Healthcare, Banking industry use. Secure your attachments with HIPPA compliant solution, fully compatible with WinZip, SecureZip and other software your partners might be using. Shell Extensions – Right click on any file and send it to your email client, zipped, encrypted, anyway you want it. Microsoft Outlook integration – zip, encrypt, upload, you attachments automatically with industry leading Outlook plugin (both 32bit and 64bit are supported). Build your own Server Cloud – ZTE has unique support for uploading to your own FTP server and inserting FTP or HTTP link to the attachment, thus giving you option to have your own, and very affordable managed file transfer solution, under your own cloud/server, which you can manage and keep secure. AttachmentCloud.com support – For those that would want full solution from us, you can use our own managed file transfer service called AttachmentCloud.com. Attachmentcloud.com is still in works, but it will be your one stop solution on delivering your data to your clients, effortlessly and securely. You can test ZTE 1.00.23 Beta by downloading it here. Previous Post PowerArchiver 2012 13.01.03 Released! Next Post PowerArchiver 2012 13.01.04 Released!